Eye health is an important aspect of your overall well-being. Because most of us have relatively good eyesight and comfort during our youth, there is little reason to worry about the future. 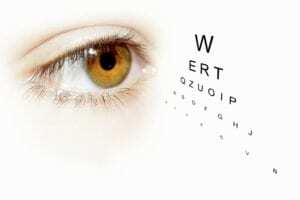 This may be true to some extent, but there is also good reason to assess the risks for certain common eye conditions. The more you know, the better care you can take; and the better care you take, the lower your risk for unhealthy eye conditions as you age. Let’s look at some common conditions and the factors within your control. Looking at these three factors alone, you can see that your risk of cataracts is largely within your control. A healthy diet and good sun-care habits (sunglasses) can mitigate the factors that are associated with cataracts. Fat-rich diet that includes a lot of meat and processed foods with unhealthy fats. According to research, smoking is a significant risk factor for macular degeneration. Researchers are also investigating the role of excessive UV exposure in relation to the development of this condition. Dark Leafy Greens could Brighten your Vision! Several studies that have been conducted on the longevity of eye health and diseases of the eye have concluded that there is immense benefit in consuming a healthy diet. Leafy greens, in particular, due to their high antioxidant content, are quite nourishing to the eyes. These include spinach, kale, romaine lettuce, and several other varieties of greens. The team at Central Florida Eye Institute is ready to team up with you to support optimal eye health. Call (352) 237-8400. Worried about Red Eyes? Here’s what it could be!